I 100% blame these purchases on the fact I had double points vouchers. 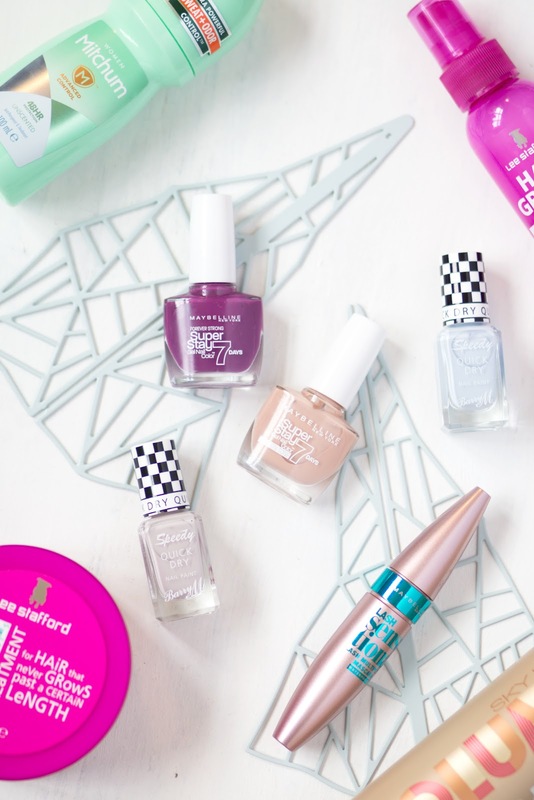 Yes, I mean, I didn’t need more nail polish, and I didn’t need dry shampoo – I did need deodorant however so I can’t blame Boots for that – but I like trying things and I like nail polish too much to say no to an offer. With the bonus incentive of buying a few Christmas presents at the same time, it only seemed logical to pick up a few 3 for 2 offers and try out some things I’d had my eye on for a while (whilst also getting double and bonus points, kerching!). Let’s get the boring bits out the way first – I don’t think too much about deodorant, I usually pick what smells nice but sometimes find myself getting to lunchtime and thinking ‘well that didn’t last long’ (TMI sorry). So I upgraded and decided to go for Mitchum Unscented 48hr Protection, and honestly it’s done a cracking job. My underarms feel comfortable all day long, no complaints and no more self-aware stickiness. Again, sorry. Well, I couldn’t come out of boots without some nail polish could I? Despite this being the time for muted shades, I’m really feeling off-grey nudes with a pop of vivid darks to mix it up. I mentioned in my Best in Beauty 2015 that Maybelline Super Stay is my favourite formula so I picked up Second Skin, Rose Poudre, and Berry Stain to break up my blue collection (honestly, the best polish range ever, lasts forever) and, confession, I haven’t bought Barry M polish before so swiftly rectified it by picking up Eat My Dust (thanks Anna) and Lap of Honour to satisfy my off-grey cravings. Hauling achieved, and now I don’t think I really need more polish, but hey a girl can dream. What have you picked up recently in the sales? Are you a nail polish fan? Is deodorant talk a but TMI?